With gifting right around the corner, I thought it would be a good idea to talk about shopping sustainably; on making sure considered purchases are made and the right gifts are chosen. These questions are always worth asking ourselves, whether we’re buying something for ourselves or someone else: Would I/they really want this? Is it the right one? Can I afford it? Will it be used? Where will it go? How does it add value or bring joy? A quick note on gifting. Gifting should always be done with consideration, it should never be an act of obligation. I always recommend talking to family, friends, coworkers, and anyone else who is likely to want to exchange gifts with you to put an end to unnecessary ones. I’ve written more about gifting and minimalism; opting out is an option, we just have to get comfortable with talking about it. Write a wish list for yourself and ask people what their ideal gifts are. Focusing on specific items helps avoid impulse purchases and panic buys. Having a check list of things to look out for means we won’t start shopping for a new coat and leave with candles and a plant pot. It also helps avoid a well-intended purchases ending up as an unwanted gifts. We’ve all receive something we have no use or need for, and having to find a place for it in our homes only to donate it a few months down the line. It’s frustrating and draining, and totally unavoidable. Exchanging wish lists with loved ones, recommending specific gifts, or very firmly declining to gift anything at all, is a surefire way to ensure every gift you give (and receive) is a thoughtful one. While it makes sense to most of us to look for a good deal secondhand; It still seems taboo to purchase previously-owned items as a gift. We need to get over that stigma. Buying secondhand goods is arguably the most sustainable way to shop. Purchasing unwanted but otherwise perfectly good items prevents them from going to landfill, slows the production of even more being made, and saves you some money. Regifting items you don’t need to someone else you know will love them is another option. The overabundance of unwanted belongings in this world gives us very little excuse to continue opting for buying new as default when there are plenty of previously-owned belongings already available, in excellent condition and at a fraction of the cost. We can’t always find the specific thing we’re looking for secondhand, and that’s OK. The next best thing is to shop thoughtfully and with intention. 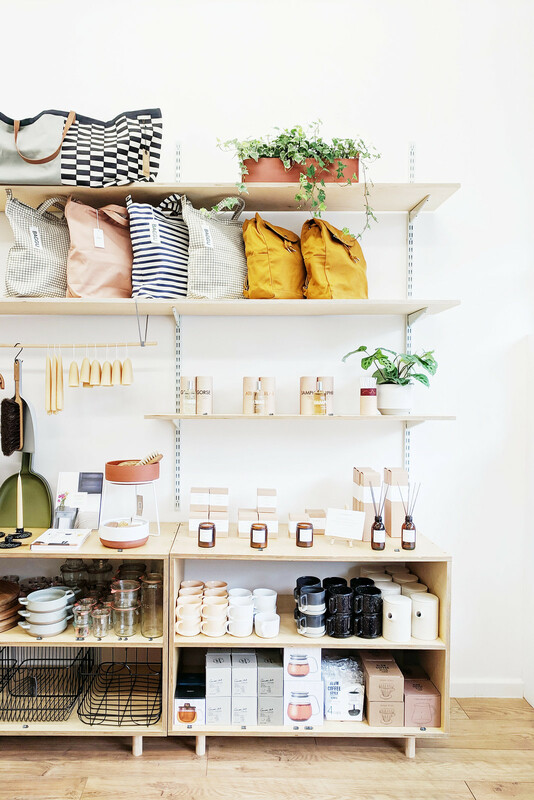 With your gift list in hand, you can look for ethically made items and eco-labelled goods that haven’t crossed the globe to get to you. Shopping online is often more environmentally friendly than shopping in-person, providing you don’t use express or next day delivery services and don’t return items. 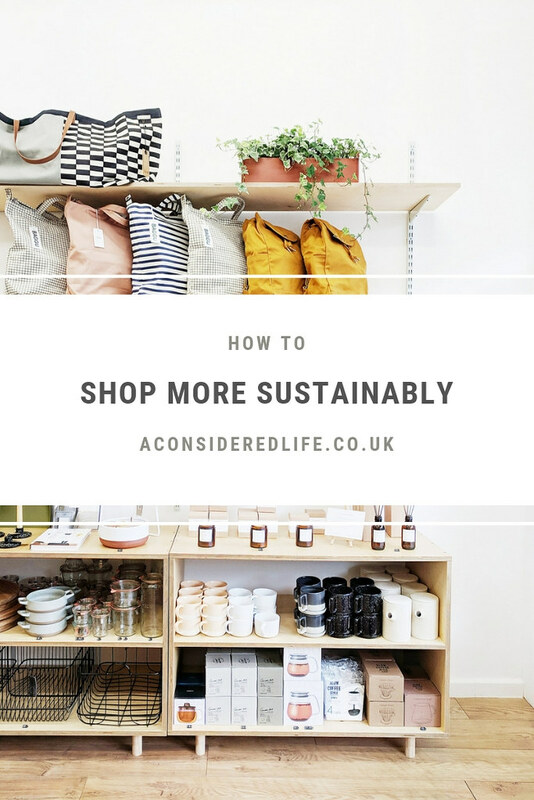 There are all kinds of ways we can prioritise how we spend our money and the purchases we choose to make; shopping thoughtfully and making considered purchases depends very much on your beliefs and principles. Whether you’re purchasing for yourself or someone else, keep these priorities at the forefront of your mind so every purchase you make is done with thought and intention. I'd love to hear your thoughts about gift-giving and shopping sustainably.